The epic that we have been following for the last five volumes comes to a triumphant end in the sixth volume of Pushing Madness by D. Hart St. Martin. Book six in the Lisen of Solsta series culminates the agonizing fracture of familial relationships, the travesty of war and the painful ache of loss. Those who have been following the series will wait with baited breath to see what has become of Rinli and Lisen. Those who may be new to the series will still find a fantastical adventure with exquisite world-building and careful character development. This is not a book or series to be taken lightly as the real, raw character portrayals are sure to hit readers close to the heart. 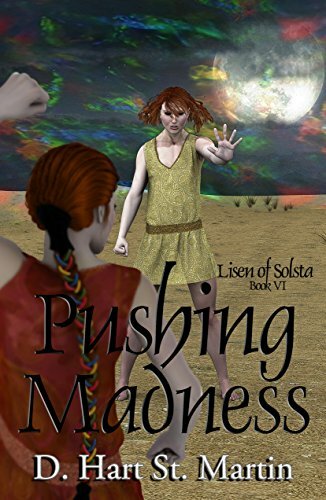 St. Martin has been crafting the saga that is Lisen of Solsta for nearly four decades. It is very clear that she is devoted to her tale and takes care in ensuring that each book is a seamless transition for her returning readers. Nothing feels out of place, readers don’t feel like they have missed pages of content at the beginning of a new book for they all pick up almost precisely where they left off. There is never a lag and all energy from the previous book carries over into the next as it aims for completion. The beauty of a book by St. Martin is the intense character development and portrayal makes the reader feel engaged and invested in the outcome. The characters and their feelings are so visceral it’s hard not to think of them as actual breathing people. St. Martin carefully shows us the strain in the familial relationship of our protagonist family as the eldest daughter cements herself into the antagonist role. It can be hard to show the fracturing of a family relationship and still keep readers invested into all sides, but St. Martin does that well. There are no screaming shortcomings for this book and there are no major issues with style or grammar. 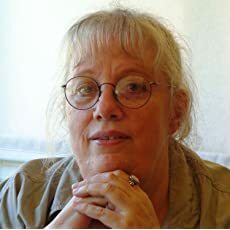 St. Martin has done the Indie Author title proud by carefully reviewing and editing her work with the help of others. This has allowed her to put out an excellent product that she should be very proud of. Those who are looking for a fantastical epic that they can really devote their time and energy to should look no further than Pushing Madness by D. Hart St. Martin. This sixth and final installment in the Lisen of Solsta series brings the epic to a satisfying conclusion. This book serves to honor the energy invested by readers who have been following since book one and to entice readers who may be discovering the series with this final book. For a saga that took so many years to cultivate and write, the wait is worth it. The payoff is a carefully crafted story with characters that are easy to identify with and a story line that doesn’t waver or get lost; despite covering so many pages. This series is definitely a keeper and be worth several rereads.